Attorney General decides Harpaz Affair is a matter for police. Popular ex-IDF chief is among those involved. New evidence has lead Attorney General Yehuda Weinstein to launch a criminal investigation into the infamous "Harpaz Affair," after ruling that it is indeed a matter for the police. Among those heavily involved in the affair, which was the center of a high-profile IDF investigation, is popular ex-Chief of Staff of the IDF Gabi Ashkenazi. 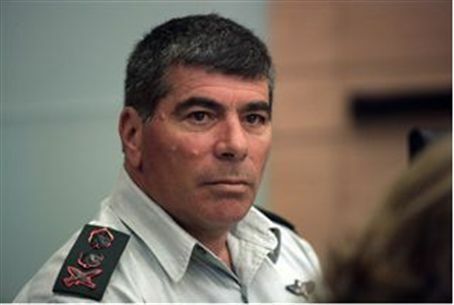 The Harpaz Affair is the name given to a scandal in which Lieutenant-Colonel Boaz Harpaz allegedly forged a document that was intended to prevent Yoav Galant from being named Ashkenazi’s successor as Chief of Staff. Ashkenazi’s aide, Lieutenant Erez Weiner, was suspended from service for his involvement in the affair. Ashkenazi has denied involvement. Military police have been investigating Ashkenazi and other top officials on suspicion of improper conduct, which is a crime under military law. When new evidence was discovered, Weinstein and senior legal staff held several meetings to discuss how to proceed. Ultimately, they decided to expand the investigation by bringing in police, in part due to the case’s relevance to the public interest. State attorneys will postpone the decision on whether to indict Harpaz on criminal charges until after police have had a chance to advance in their investigation.